New York city dressed in white and blue last Sunday 14 April, in honor of the 198th anniversary of Greece’s independence from the Ottoman Empire. 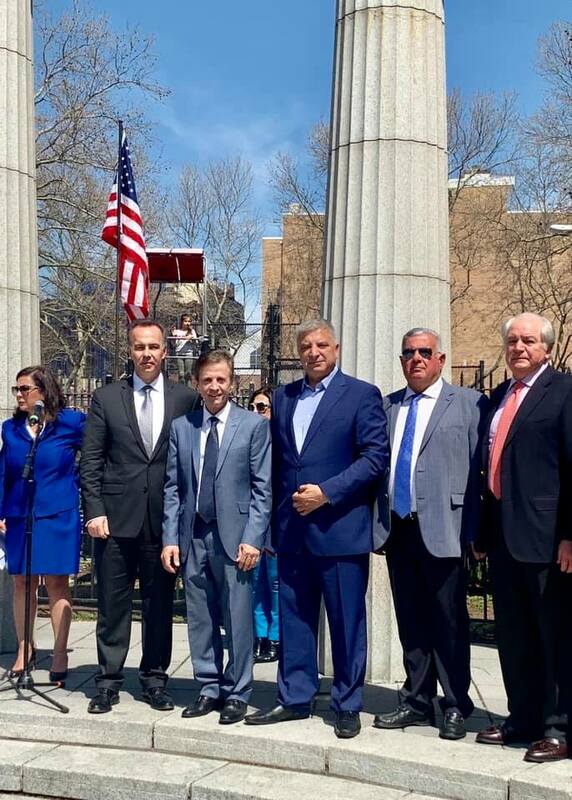 The annual Greek parade which was held on the Fifth Avenue was attended by thousands of Greek Americans and representatives of close to 100 organisations. Schools, associations and federations, communities and bands all gathered to march for Greece. 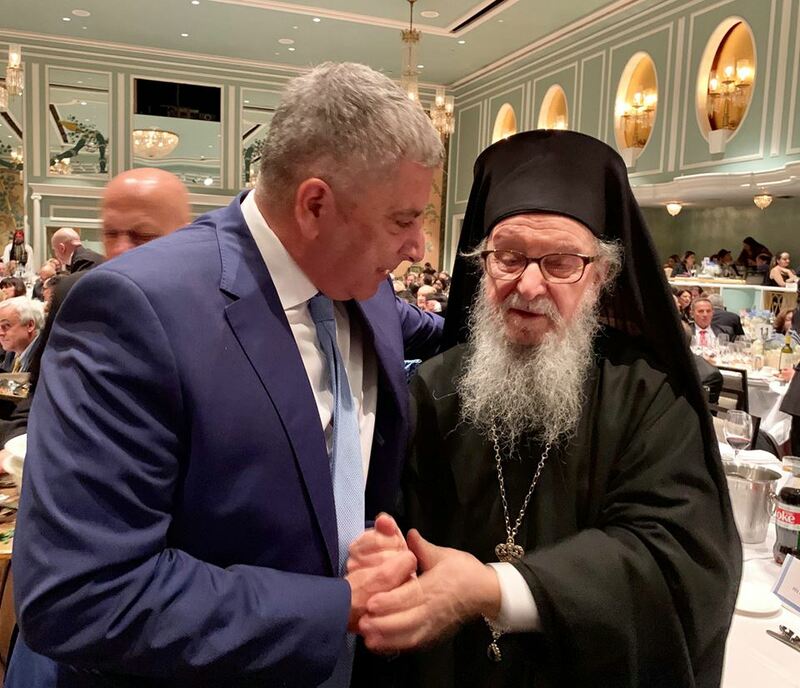 For the first time, no representative of Greece’s political leadership was present as the organisers only chose to invite local government official. The president of Central Union of Municipalities of Greece (KEDE) and candidate for Regional governor of Attica, Giorgos Patoulis, was this year’s guest of honour from Greece. “Hellenism is the beacon of hope for the renaissance of our country’s Development. 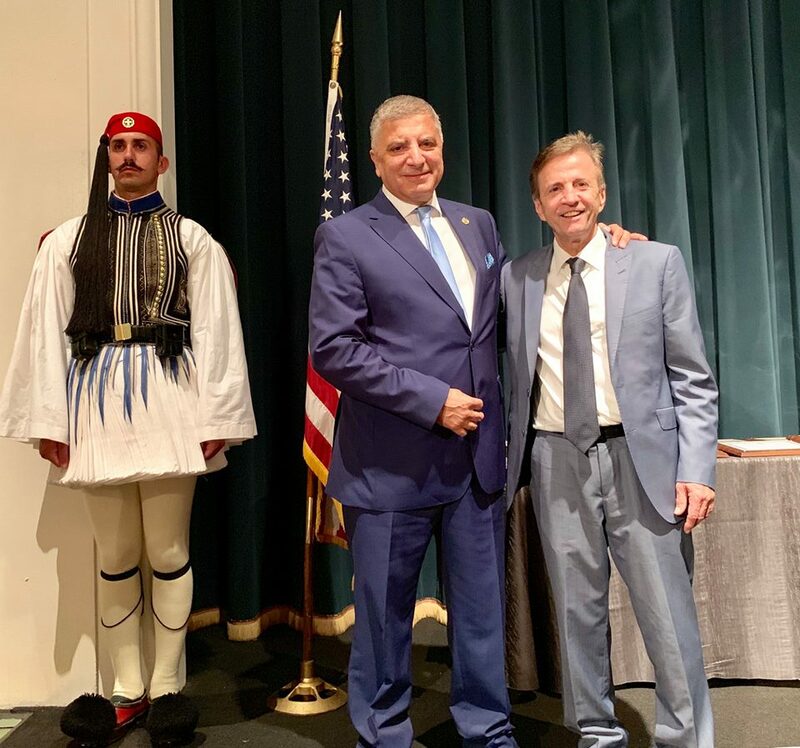 Together, united we can uplift and make Greece great again,” he said, and moved on to congratulate Petros Galatoulas, President of the Federation of Hellenic Societies of Greater New York for his tireless work in keeping the Greek Community in America alive. 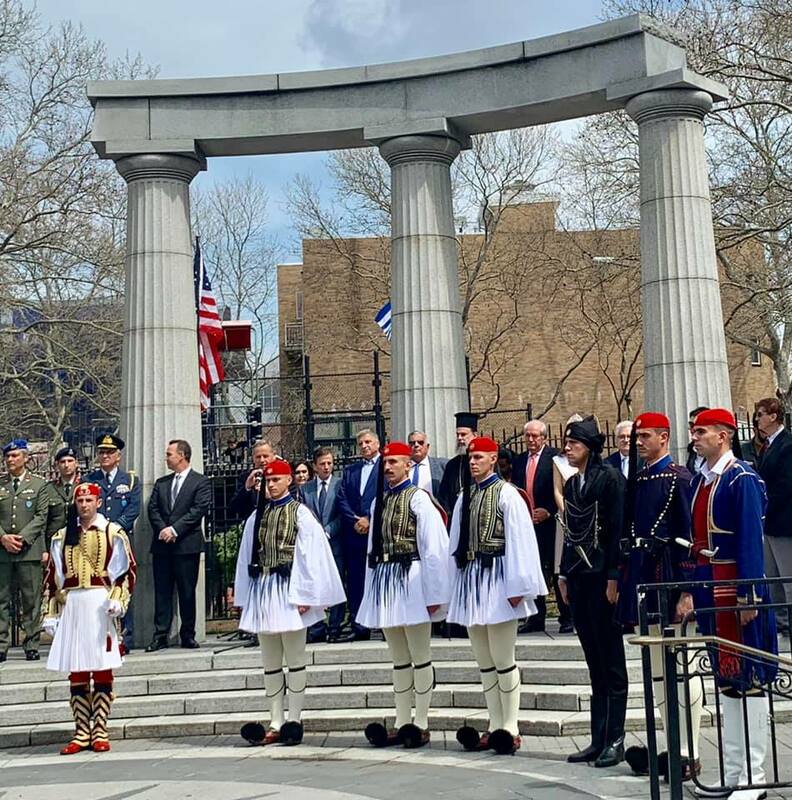 Prior to the march, Mr Patoulis attended the Greek flag ceremony at Bowling Green, Manhattan on Friday 12 April with the presence of the Evzones of the Presidential Guard and the famous Mantzaros Philharmonic band of Corfu. 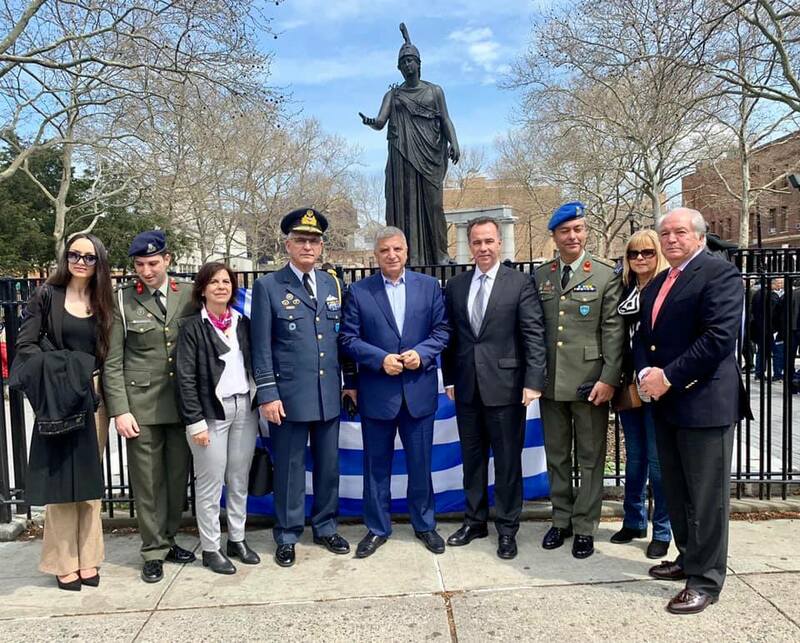 Archbishop Demetrios of America, the general consul of Greece in New York Konstantinos Koutras, consul Lana Zohios, Director of the Military Office air marshal Grigorios Prezerakos as well as President of the Presidential Guard, Colonel Rodolfo Demetroglou were also there. 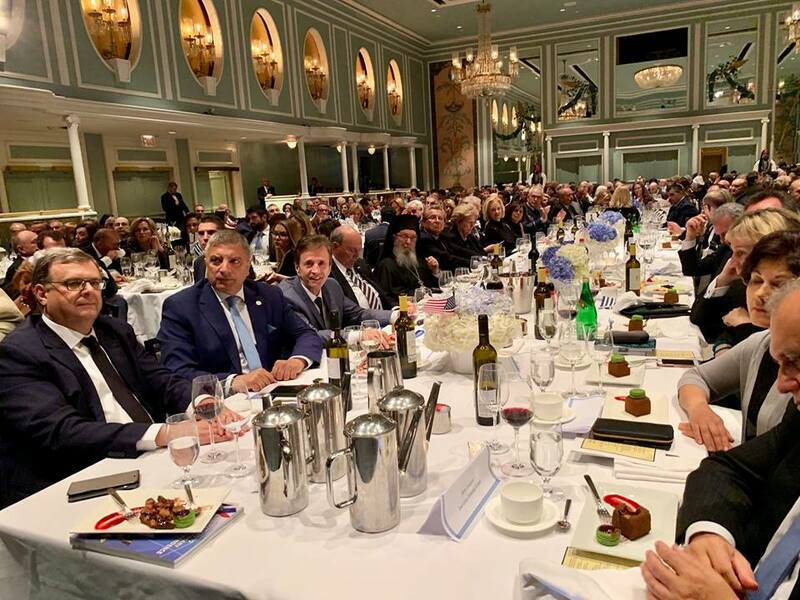 On Saturday, Mr Patoulis was also invited to the annual event of the Greek Independence Parade Gala at the New York Hilton Hotel in Midtown where he expressed his pride to be Greek and to once again be representing his country’s local government overseas. “Mother Greece needs our joint forces to recover from the national crisis of the last decade, and the annual NY Greek Independence Day commemoration, dedicated to the shared values between Greece and the U.S, sends today the message to the world that Hellenism continues to exist and has a lot to offer to the international community,” he said. Lastly, when asked to comment on the Macedonia name issue, Mr Patoulis said that “Macedonia is and will remain Greek “. Twelve Evzones will march with Australian soldiers on Anzac Day!